USA Triathlon confirmed the four events that will be contested as part of the 2018 women’s varsity collegiate triathlon season, including three regional qualifiers in the fall and a return to Tempe, Arizona, for the Women’s Collegiate Triathlon National Championship on Nov. 4. The National Championship, the fourth such event since triathlon became an NCAA Emerging Sport for Women in 2014, will be held on and around the campus of two-time defending national champions Arizona State University. The National Championship and three regional qualifiers will follow the competition structure and rules implemented in 2014 for the inaugural season, with a maximum field of 75 women racing on a draft-legal sprint-distance course (750-meter swim, 20-kilometer bike, 5-kilometer run). The season begins Sept. 16 with the Central Regional Qualifier in Watauga, Tennessee, hosted by NCAA women’s triathlon institution East Tennessee State University. The West Regional Qualifier will be held Sept. 23 in Longmont, Colorado, in conjunction with the Oktoberfest Sprint Triathlon hosted by Without Limits Productions. The East Regional Qualifier is set for Oct. 20 in Huddleston, Virginia, as part of the Liberty Triathlon Festival hosted by Kinetic Multisports. At each regional qualifier, the top three five-woman NCAA varsity teams overall and the top NCAA varsity team in each division (if not already in the top three varsity teams overall) will automatically qualify for the Women’s Collegiate Triathlon National Championship on Nov. 4. In addition, a minimum of the top five individual women in each event who are not already on a qualifying NCAA varsity team will earn pending qualification. Teams and individual athletes may only qualify once. If an athlete or team finishes in a qualifying position at a second or third event, that spot will roll down to the next eligible athlete or team. The National Championship field will be limited to 75 women representing NCAA varsity programs and, dependent on the number of registered athletes, USA Triathlon-registered collegiate club teams. More information on invitation criteria is available at usatriathlon.org/ncaa. At the 2017 National Championship in Tempe, Arizona, host Arizona State University (Division I) successfully defended its 2016 overall team title and swept the top three spots individually. Hannah Henry came away with the individual victory, followed by Sun Devil teammates Charlotte Ahrens in second and Kyla Roy in third. Queens University of Charlotte’s club team claimed the Division II title, and North Central College took top honors for Division III programs. Deemed an NCAA Emerging Sport for Women in 2014, triathlon has a 10-year window to demonstrate sustainability as an NCAA Championship sport option. To date, 23 schools sponsor triathlon at the varsity level for women, including five at the NCAA Division I level, nine in Division II and eight in Division III. Click here for a complete listing of varsity programs. For more information about triathlon as an NCAA Emerging Sport for Women, visit usatriathlon.org/ncaa. 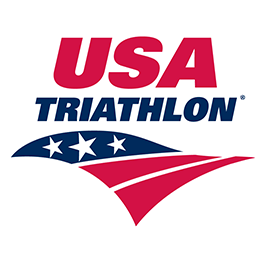 For questions regarding events and programming, as well as invitation requests for women’s collegiate triathlon season competitions, contact Jessica Welk at Jessica.welk@usatriathlon.org.